This report includes a situation update submitted to KHRG in July 2012 by a community member describing events occurring in Nyaunglebin District, during July 2012. It describes the Norwegian government's plans for a development project in Kheh Der village tract, which is to support the villagers with their livelihood needs. 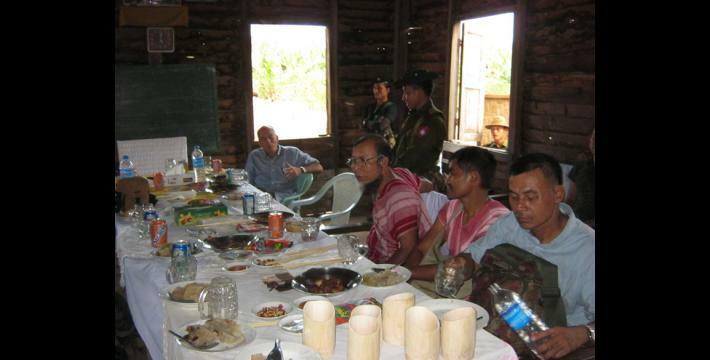 In addition, the legislator of Kyauk Kyi Township, U Nyan Shwe, reported that he was going to undertake a stone-mining development project in the township, which led the Burmese government to order a company, U Paing, to go and test the stone in Maw Day village on July 1st, 2012. 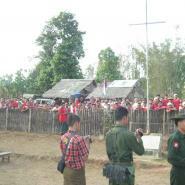 U Paing had left the area by the 8th of July due to safety concerns after a landmine explosion occurred in the near vicinity. Also described are villagers' fears to do with such projects, particularly in regards to environmental damage that could result from mining. The following situation update was written by a community member in Nyaunglebin District who has been trained by KHRG to monitor human rights conditions. It is presented below translated exactly as originally written, save for minor edits for clarity and security. This report was received along with other information from Nyaunglebin District, including six interviews, one other situation update and 277 photographs. 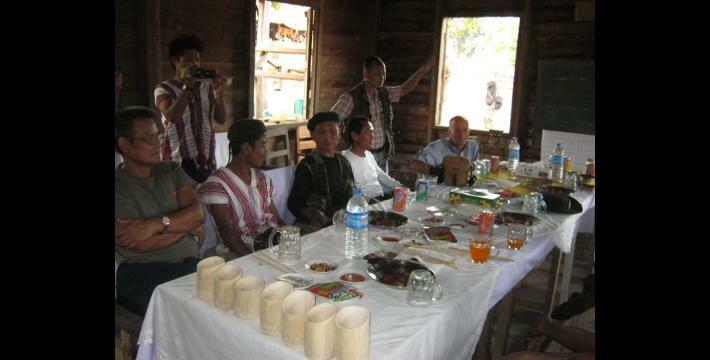 There are some projects that are happening in our area, which are: 1) Norway will help pilot a project which is in Kheh Der village tract, 2) The Burmese government plan to mine stone in Maw Day village tract, and 3) the provision of Identity cards for villagers by the [Burmese] Government. 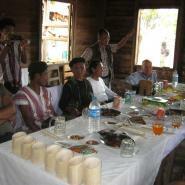 The Norwegian government started the activity with the purpose of helping the villagers in Kheh Der village tract. On July 1st 2012, the villagers in Kheh Der village tract started to build a rice barn and stores to keep their materials in. 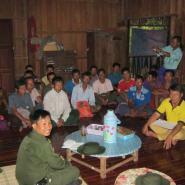 There are 16 villages, 260 households and 1,437 people in Kheh Der village tract. The rice barn was built in Muh Theh and they will keep the rations there, where the villagers will have to transport it. The materials that they are going to support the villagers with haven't been delivered yet, because the roads are damaged and they [Tatmadaw] are repairing the roads. The things that they are going to support the villagers with are: 1) household materials, 2) different kinds of major food [such as fish paste and rice], 3) school stationary for the students, 4) different kinds of medical supplies, 5) different kinds of clothes, and 6) equipment for farming. 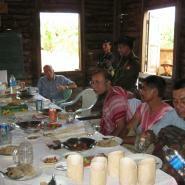 On July 11th 2012, the agents from Norway and the people in charge from CIDKP [Committee for Internally Displaced Karen People] and KORD [Karen office of Relief and Development], came to Muh Theh and met with the villagers, the KNU leaders and the Burmese governors. The project that the agents from Norway are going to do isn't a country development project, it is a project for village development and solving problems in order to fulfill the villagers' needs. But the villagers are not sure about this project yet. The villagers are relying on the planning of the leaders from CIDKP and KORD; this plan will be a test. 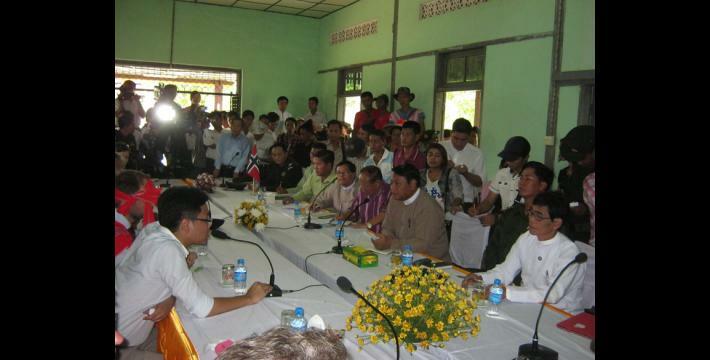 The District Governor U Nyan Shwe [Legislature of Kyauk Kyi Township] reported in the legislators' meeting that he is going to make a development project with the purpose of mining [precious] stones in Maw Day village, so the Burmese government ordered U Paing Company to come and test the stones in Maw Day. 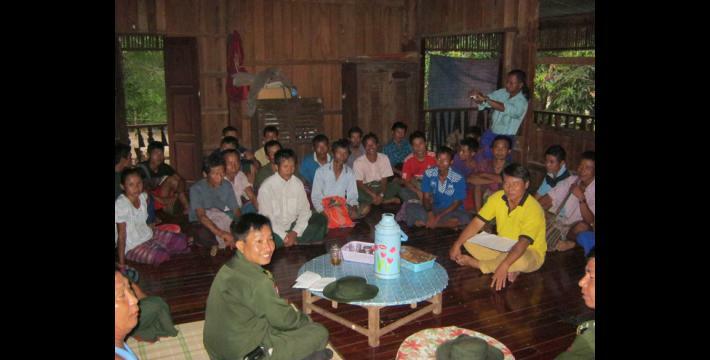 On July 1st 2012, the people in charge from Than M'Ni factory and eight staff members from U Paing Company, led by U Nay Win, came to Muh Theh village to test the stones in Maw Day. The villagers are really worried; they are worried that the Burmese government will use all of the country's natural resources, like trees and bamboo and other natural resources. If the U Paing Company starts their activity, the villagers will face many problems, and they also don't know what exactly will happen to them. 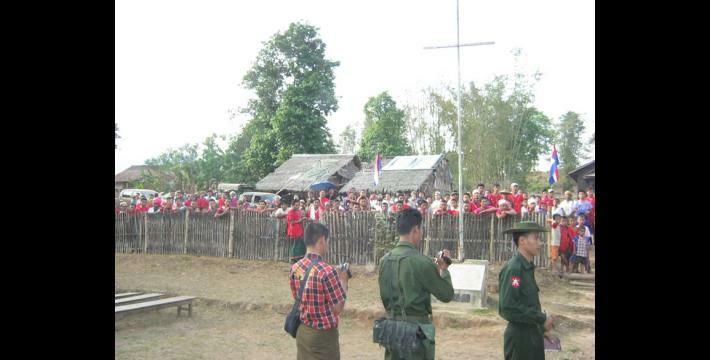 The people who came and tested the stones left by July 8th 2012 because the KNU [Karen National Union] had not given them permission to test the stones, so they did not dare to test the stone carefully. Moreover, a landmine exploded in the area where they were testing the stones, so, as they were afraid, they left. In order to increase the transparency of KHRG methodology and more directly communicate the experiences and perspectives of villagers in eastern Burma, KHRG aims to make all field information received available on the KHRG website once it has been processed and translated, subject only to security considerations. As companion to this, a redesigned website will be released in 2012. In the meantime, KHRG's most recently-published field information from Papun District can be found in the report, "Nyaunglebin Interview: Naw P---, October 2011," KHRG May 2012.